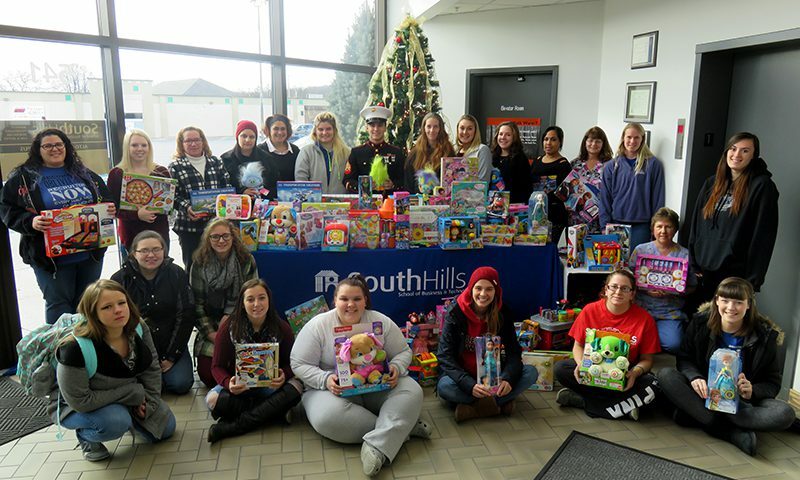 ALTOONA — ‘Tis the season for giving back! 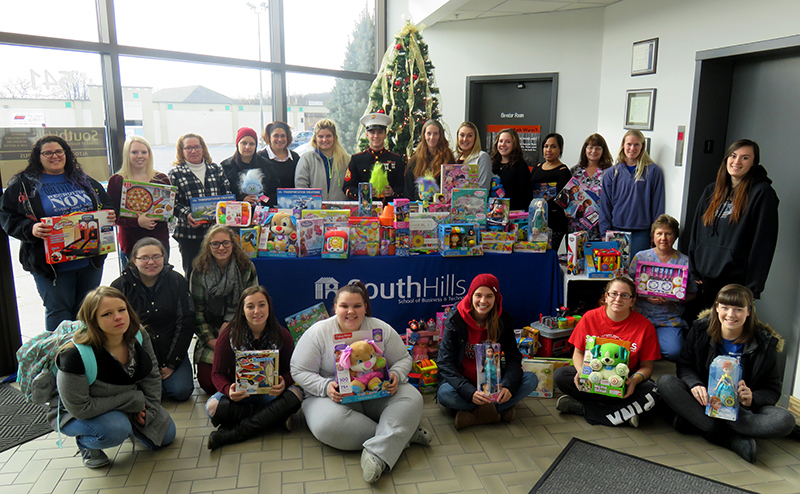 The Health Careers Club at the Altoona campus of South Hills School of Business & Technology raised $1,000 and purchased new, unopened games, dolls & action figures, coloring books, and more for the Ebensburg Toys for Tots campaign, which serves Blair, Northern Cambria, Indiana, and Jefferson counties. The goal of the U.S. Marine Corps Reserve Toys for Tots program is to collect new, unwrapped toys during October, November and December each year, and distribute those toys as Christmas gifts to less fortunate children in the community in which the campaign is conducted.